Despite this nasty manual wheelchair, I've still managed to get out and have fun! 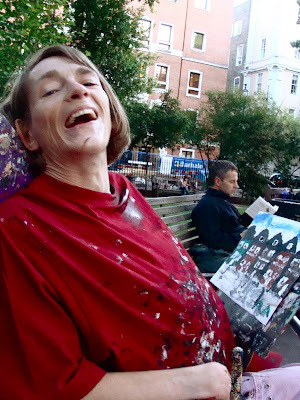 Sarah and I have been painting in Soho Square park, and went to two art galleries. Yesterday Rob joined us and we went to Hyde Park, then we had dinner in a quaint little Italian restaurant.